Dolce Gabbana Perfume – Italian Mystic Captivates People’s Hearts! Right from the land of ‘The Ferrari’, here is a perfume that has for long enchanted people with its mystical fragrance. Dolce Gabbana, a launch of the Italian Fashion biggie, Dolce and Gabbana, has indeed competed admirably with its illustrious counterparts from France and the UK. The secret behind the success of Dolce Gabbana has always been its natural fragrance, which in most occasions would take you close to the nature for sure. A relation that started in 1980 between Dolce, from Palermo, Italy and Stefano Gabbana, from Milan, Italy continued until 2005, the time during which Dolce and Gabbana announced their status as a premier fragrance maker in Italy. In preceding years, some controversy ensuing could not do enough to damage the credibility Dolce and Gabbana had build for them. Starting right from the Pour Femme, which was the first fragrance of the Dolce Gabbana line of fragrances and right until the latest releases that cater to the sophisticated and trendy, Dolce Gabbana perfumes and colognes have done more than enough to capture the imagination of fragrance-wearing people. And dare I say, this has done enough to even get people who never wore fragrances, to start wearing them. Especially, the ones of Dolce and Gabbana! Evoking memories of spending a warm afternoon in the Sicilian Summer, the Light Blue Perfume, ever since its launch in 2001, has captivated people with its breezy and casual fruity scent. A lot of women that used the Light Blue Perfume, have voted this as the best perfume to be used on a hot Italian day! The bottle that houses possibly the best Italian summer perfume, deserves a talk here. It looks like one of those old-fashioned bottles, with a light-blue cap. Who cares though? Because inside the bottle, you would find a casual mix of lime, blueberry, Jasmine, Apple and other fruits. Did we ever say this was a fruity scent? 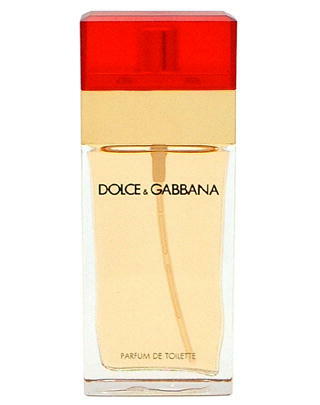 Before their initial tryst with the Light Blue Perfume, which was primarily launched for use by women, D & G Cologne was Dolce and Gabbana’s first popular tryst with fragrances for men. One must say that the women’s fragrances proved to be a major hit with the fruity, feminine scent that enchanted a lot of women across Italy. To be fair to the D & G Cologne, this Eau de Toilette spray for men does not come close to the fruity scent of the Light Blue Perfume. Well, it never was intended to have the fruity scent, as it always was made to be a men’s fragrance. A classic mix of citrus, lemon, cardamom, and coriander make up for a strong, masculine scent. Packed in a transparent bottle with a silver cap, this 3.4 oz beauty of a cologne indeed proved to be a hit with the men folk due to its unconventional scent. People who wore the D & G Cologne voted for the time for which the fragrance lasted. With the D & G Cologne, you could wear a bit in the morning, and go out on a casual date for the whole day, and expect your partner to feel the effects of this fascinating cologne. It has been reported that the presence of coriander and cedar gives it a lasting smell, although a lot of people advised against spraying too much of it. The tender smell coupled with the long-lasting fragrance makes D & G Cologne a must buy for men. Visit our website to get the best deals on D & G Cologne, as we offer attractive discounts and add-on gift sets for anyone who purchases D & G Cologne from our website. The name may sound a bit masculine at the onset, but D & G The One is mainly known as a women’s perfume from the illustrious line of Dolce and Gabbana fragrances. This 2.5 oz EDP spray has always been considered very effective for casual use, and has notes of bergamot and mandarin in it. Packed in a rectangular bottle, with an off-cream seal, the bottle in itself presents a very feminine look. Women who have wore this perfume vouch for the strong fruity scent of this fragrance, one which does not allow men folks to look elsewhere apart from into their partner’s eyes. This fragrance is also available as a 1.6 oz EDP packing or the unboxed version of 2.5 oz EDP. Much like the popularity of the illustrious D & G Light Blue Perfume for women, the D & G Light Blue Cologne for men did not waste a lot of time getting into the limelight. The 3.4 oz Eau de Toilet Spray for women immediately impressed people with clean and fresh smell. In fact, a lot of people who wore this cologne did not complain of any headaches, something that was popular with fruity perfumes and colognes until a few years ago. Dolce and Gabbana have known to produce perfumes and colognes that are fruity in their scent, especially their women fragrances. The men’s line of colognes have a strong masculine scent to them with cedar and cardamom being prominent in their men’s colognes. Whatever be the case, people have absolutely loved D & G Perfumes and colognes, which can be seen from their sales on many online websites.